An excellent introduction to the prehistoric Anasazi ruins, Hopi and Navajo people, and the natural history of the American Southwest, this 9-day expedition offers an opportunity to explore the archaeological wonders and cultural heritage of the ancient peoples of the Southwest, plus striking scenic areas. • Bandelier National Monument – a prehistoric Anasazi site in wooded canyon country which contains many cliff and open pueblo ruins. • Chaco Canyon – one of the most important centers of commerce and culture in the prehistoric Southwest. Many consider Chaco to be the architectural peak of the Anasazi culture. • Aztec Ruins National Monument – a three-story, 500-room dwelling built over 850 years ago. • Mesa Verde National Park – Mesa Verde has over 2,000 mesa-top ruins and 200 cliff dwellings. Cliff Palace, the most famous, is eight stories high. 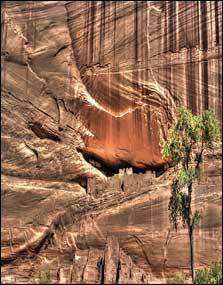 • Canyon de Chelly – called Tsegi, “rock canyon,” by the Navajo. 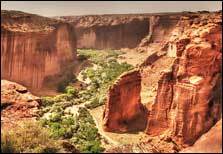 Magnificent Canyon de Chelly actually includes two adjoining canyons, Canyon del Muerto to the north and Canyon de Chelly to the south. In the canyon’s walls rising to heights of over a thousand feet are houses built in open caves by early Anasazi people. • Hubbell – the Navajo people have come to Hubbell Trading Post for years to trade for supplies. • Hopi Mesas – an enclave in the enormous Navajo Reservation, the Hopi Cultural Center and Museum at Second Mesa will provide an interesting and informative picture of Indian life. 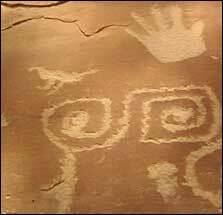 • Hovenweep National Monument – the site of ancient astronomers quest to understand the movement of the stars and provide meaning to their people. 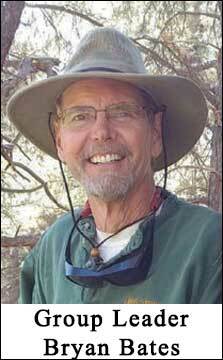 During the Expedition, the Southwest’s impressive Native American heritage, natural habitats, and breathtaking scenery will come alive with leadership by an excellent anthropologist and naturalist Bryan Bates. Copyright ©2001-2019 Betchart Expeditions, Inc. All rights reserved.